God has a divine plan to release his people from the curse of desolation and barrenness. Satan also has a strategy, however, which is to lock us to our past. He uses a threefold cord of the demonic spirits of Jezebel, Athaliah, and Delilah–strongholds that seek to destroy not only us but also generations to follow–to block us from victorious Christian living. But by exposing the plans of the enemy, God’s people can be released from barrenness and launched into expansion, growth, and multiplication. 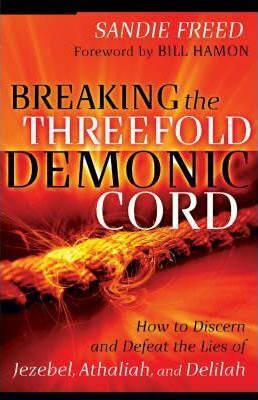 Sandie Freed takes readers through a close study of each of these demonic forces in order to prepare them to break the threefold demonic cord. Conducting a biblical exploration of the everyday tactics of each spirit, Freed lays bare their strategies and helps readers defeat them through prayer.